Woking Girl Designs: The shop is up! The shop is open for scarf business! Limited-edition Dealtry Scarves, come take a look! 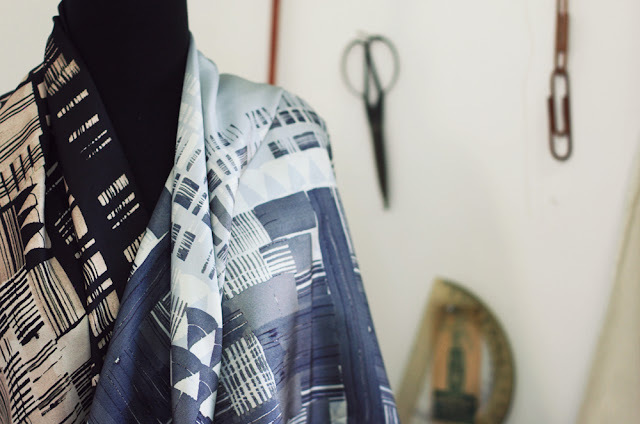 Wrap up in a nice warm 100% Silk Twill scarf designed by Woking Girl Designs head designer, Helen Dealtry. Helen hand paints all her Textile designs here in our Brooklyn studios then has them digitally printed onto the Silk. Digital printing allows for a limitless spectrum and depth of color, and is also safer for the environment than many other forms of printing for textiles. Hope your Holiday sale/ Party was a success. Cant wait to see your travel pics Jennifer!